Heaters are a great way to make your pool and spa accessible year-round. They can be used to warm an entire pool or for on-demand heating of a spa. Natural gas heaters are the most commonly installed types in the Dallas area, though some are heated via liquid propane and others with electricity. In any case, a heater is one of the most complex components in your equipment set. As such, it takes great expertise and access to vital resources to diagnose and correct any problems with pool and spa heaters. At Select Pool Services, we have well-trained experts certified and licensed to install and repair pool and spa heaters. Each of our employees regularly attends educational seminars from various manufacturers, so we can diagnose and repair heaters across the spectrum of brands and models. These heaters rely on electricity for their ignition and safety systems, and our licensed technicians are familiar with how each component works. 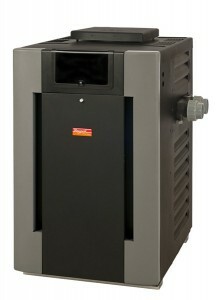 We are also a warranty service center for Rheem/RayPak heaters. If you do not currently have a heater, we can offer recommendations and pricing for the installation of a new heater. Several factors should be considered when installing a heater. What is the distance between your gas meter and your pool equipment? If a natural gas line is in place, is it sized properly for the type of heater you need and the distance from the gas meter? 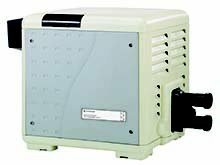 How do you plan to use the heater (occasional heating of the pool out of swim season, heating a spa, etc)? Is your gas meter medium or low pressure? We can easily determine answers to these questions and provide you with options and pricing to suit your needs. A pool or spa heater can increase the usefulness of your investment by lengthening the swim season, bringing therapeutic heat to your spa, and providing avid swimmers with year-round swimming temperatures. Whether you have an existing heater in need of repair or would like to know more about installing a new heater, our specialists are available to visit your residence and make repairs or recommendations. Call us today and begin to enjoy your swimming pool or spa more fully in no time. If you enjoy your swimming pool on the warm side, then a pool heater is right up your alley. We provide expert swimming pool heater installation to ensure you enjoy world-class luxury in your backyard. That feeling of first jumping into the pool, the warm water splashing across you, is just unbeatable. Now, with a professionally-installed swimming pool heater, you can enjoy that feeling year round. A swimming pool heater offers countless benefits, but you won’t experience them unless the heater unit is installed correctly. At Select Pool Services, we cut down on errors entirely. You’ll enjoy a working pool heater, without uneven temperatures and faulty wiring. To some, a warm pool is always better. For children, warm water prevents the shock of cold temperatures. Furthermore, a pool heater adds value to your property. There are many reasons to invest in a pool heater. Take advantage of professional installation today and get swimming! If you have a swimming pool heater installed for your backyard pool, it may require occasional repairs. If the heater is no longer operating efficiently or does not fire whatsoever, we’ll diagnose and repair the problem promptly. At Select Pool Services, we are trained and equipped to handle most brands of heaters. Furthermore, we provide same-day service for when your pool heater breaks down. Whether you’re hosting a get together or want to swim in the evening, give us a call for prompt service! If you do not feel comfortable working in or around the swimming pool heater, please do not. It is best to call a professional technician to avoid any trouble and costly repairs!